You’ll find an Uber driver in pretty much every corner of the globe. Millions of Uber drivers give rides to millions of passengers every day. Uber is now testing a new incentive program to reward these drivers for their dedication to providing safety, comfort, and convenience to their customers. It’s called Uber Pro. 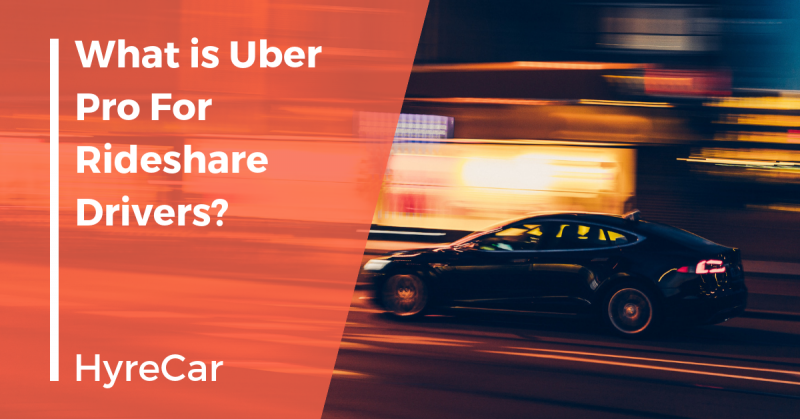 Uber drivers with Uber driver ratings consistently over 4.85 can earn points that unlock Uber Pro rewards such as higher earnings per ride, 5% cash back at gas stations with an Uber Visa Debit Card, discounts on auto maintenance, and free dent repairs, among others. Uber Pro is currently offered in Seattle, Chicago, New Orleans, Orlando, Tampa, Denver, Phoenix, and the entire state of New Jersey. The program is scheduled to be available nationwide soon. One of the coolest rewards is 100% free college tuition from Arizona State University’s online degree program. Uber partnered with ASU Online to offer eligible drivers, as well as their family members, the opportunity to take courses to earn an undergraduate degree or a non-degree certificate. There are over 80 degrees offered, from English language courses to entrepreneurship business classes. Tuition is completely covered by Uber! Points and rewards are tracked through the Uber app. Any Uber service driver is eligible (Eats, Black, Select, XL), but drivers who only drive for Uber Eats are not eligible. Uber looks for drivers with consistently high driver ratings and low cancellation percentages. These drivers are randomly selected by Uber to take part in the Uber Pro program. If you qualify, you might get an invite to join and start earning rewards. Until then, you’re not a part of the program. You must consistently have 4.85 stars or higher on the Uber rating scale as well as an Uber cancel ride rating of 4% or lower to earn reward points. You earn these points on every ride you give during specific three-month blocks (November 1 – January 31, February 1 – April 30, May 1 – July 31, and August 1 – October 31). The points you collect during one three-month period go to unlocking rewards in the next three-month period. For example, points accumulated between February 1 and April 30 will be used to unlock rewards during May 1 through July 31. The points would not carry over into August or beyond. What Are The Different Levels To Uber Pro? Just like an airline mileage reward program, where the more miles you earn, the higher the reward tier you qualify for. The same goes for Uber Pro. The more points you earn determines the tier and the rewards you can access. There are four Uber Pro reward levels. The number of points a driver needs to qualify for the top three tiers can be higher in bigger cities. Partner – the starting level that all driver’s qualify for automatically after joining Uber Pro. It has the fewest rewards but still gives you cash back on gas and car maintenance discounts. Gold – 300 or 600 points. 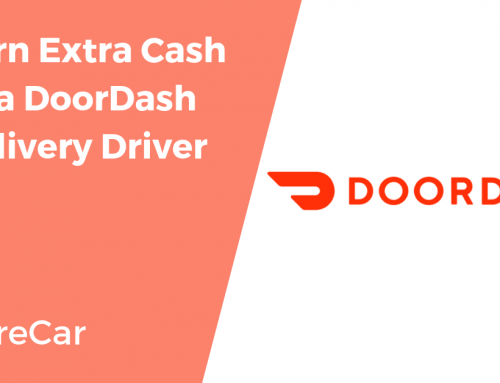 Adds rewards like recognition as an Uber Pro in the app, and free roadside assistance. Platinum – 600 or 1200 points. Adds 3% higher earnings on rides and distance rates as well as 100% covered ASU Online tuition. Diamond – 1200 or 1800 points. The highest level. Offers all rewards from lower tiers and adds free dent repair, and faster, prioritized airport pickups after dropping off a passenger at the departure terminal. Both Platinum and Diamond tiers offer drivers important information through the app regarding future pickups, such as length and geographic directions of rides. How Are My Uber Pro Earnings Calculated? Let’s say you’re a full-time driver, spending 40 hours a week picking up passengers. On average you’re earning around $1500 per week. You’ve obtained Diamond level status through Uber Pro, so kudos on that. Now let’s crunch some numbers. At Diamond level, Uber will add a 6% bonus to your time and distance earnings. However, the 6% bonus does not apply to the base rate of $1.50 per ride. We would have to subtract $180 (120 x $1.50) from our $1,500. The 6% bonus will only be added to $1,220 of your time and distance earnings. We subtracted $180 (base rates @ $1.50 per 120 rides) and $100 of surge earnings. $1,500 – $280 = $1,220. The total bonus you’d receive for the sample week we’re working with would be $73.20. Multiply that by the 52 weeks in a year, and you’d take home about $3,660 in extra cash as a Diamond level driver. Now, if you spend $100 a week on gas, you’ll also get 5% ($5) back per week in savings through Uber Pro. That’s $250 a year in your pocket to pay bills, treat yourself to some nice dinners, etc. Just use your Uber Debit Card when you purchase gas. You can use it anywhere gas is sold. As with all new programs, different drivers have different opinions about Uber Pro. Drivers working in small towns, who only get a few rides a day, complain they will never have enough rides or achieve a high enough rating to attain Uber Pro status. Other drivers feel that being identified as an Uber Pro driver when a passenger looks at their Uber app rating, garners them better clientele who are more likely to tip well. Some wish Uber would raise the amount that all drivers get paid instead of spending millions of dollars to create a program that only rewards the busiest of drivers in big, metropolitan areas. For the most part, Uber Pro, which is still in the beta testing phase, seems like an excellent incentive program for Uber drivers to deliver high-quality customer service in exchange for cash bonuses, discounts, and free college tuition. We would love to help you get on the road! Please visit https://app.hyrecar.com/offers to create an account and then you will be able to begin searching for a vehicle in your specific area. If you have any questions or need any assistance after creating an account, please email sales@hyrecar.com or give us a call at (213) 269-5330. When can I sign up – Rich Binkus, 561-822-7273????? Hi Anthony, we would love to help you get on the road! Please visit https://app.hyrecar.com/offers to create an account and then you will be able to begin searching for a vehicle in your specific area. If you have any questions or need any assistance after creating an account, please email sales@hyrecar.com or give us a call at (213) 269-5330. Hello Melissa, we would love to help you get on the road! Please visit https://app.hyrecar.com/offers to create an account and then you will be able to begin searching for a vehicle in your specific area. If you have any questions or need any assistance after creating an account or any other car rental related issues, please email sales@hyrecar.com or give us a call at (213) 269-5330.